Neem Oil To Remove Dandruff is the best natural remedy. Be it for dandruff or hair growth, Neem leaves and its oil is a very useful natural ingredient. 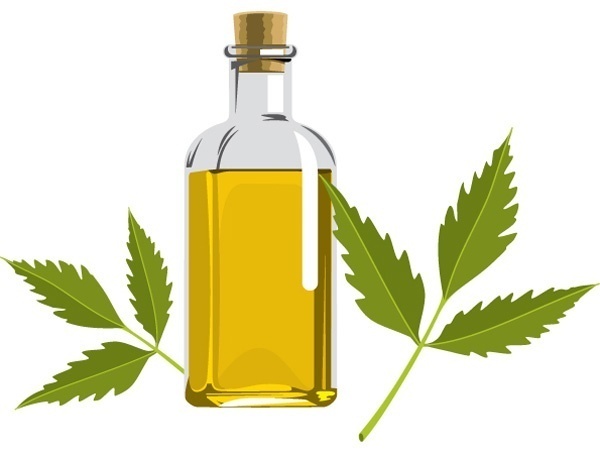 Neem oil can be extracted from its seeds and the leaves of the evergreen neem tree. The scalp of the hair becomes frequently attacked by dryness, itchiness, loose white flakes, etc. There are a lot of shampoos and other treatments for these challenges, but the natural treatment is highly recommended for healthy hair and clean scalp. Neem oil to remove dandruff and its application are the best remedies ever. Neem Oil has a high level of anti-oxidants which protect the scalp of the hair from being dry causing dandruff and itchiness. Neem has regenerative elements which help in cell division. It stimulates hair follicle growth. Neem Oil conditions the underfed hair because it contains more than a few fatty acids like linoleic, stearic and oleic acids. It protects the scalp of the hair by not letting dandruff affect the hair. 1. Neem shampoo can be made at home by adding up 1/2 tablespoon of neem oil in the regular shampoo. Wobble the bottle for blending and then apply this twice every week for an effective result. 2. For proper hair conditioning deeply massage the neem oil throughout the hair and scalp with your fingertips. Use a hot towel to cover your hair (tolerate the heat) and allow the oil to penetrate into the hair and keep it for 20 minutes. Then wash the hair with the neem shampoo. Hair becomes shiny and healthy. 3. This natural remedy is very useful for many types of human fungi that include Candida that is the major reason for the occurrence of dandruff.Due to dandruff, there are some underlying inflammations on the scalp which make the scalp irritated. Neem oil can surely protect the hair from such irritations and dandruff as it is anti-fungal, anti-inflammatory and a very good antiseptic. 4. Neem oil also has cooling and astringent effects.Regular use of Neem oil will control the sebum secretion and also will normalise the dry and oily scalp. 5. Mix rosemary oil, neem, and tea tree oil in equivalent proportions. Apply the mixture to the scalp. Shampoo your scalp after one / 2 hours with the neem shampoo. This will keep the hair healthy, fresh and dandruff free. 6. Massage the hair with warm Neem oil to remove dandruff which is a wonderful therapy for hair. The hair massage soothes and relaxes the scalp nerves and gives a relaxed feeling. The oil enhances the conditions of the hair and nourishes the hair with required minerals for its growth. 7. Mix few neem oil drops with one cup of yogurt. Apply it on the scalp. Wash it after twenty minutes. You can then forget about all kinds of itchiness. With regular use of neem oil and neem shampoo, dandruff can be absolutely reduced giving the hair a fine, shiny and lustrous look. However, it is important that the oil is regularly used. Otherwise, you might not see the desired outcomes.